In just the past day or so, the EA NBA Live team updated the latest game to address a number of aspects. Among those were adjusted player likenesses such as facial hair or tattoos for stars such as Stephen Curry, Klay Thompson, and Kawhi Leonard. There was also a slew of new gear dropped and roster adjustments after recent trades. As of Saturday, there are more updates including NBA Live 19 injuries, City Courts, and an NBA trade deadline event. The recent update for NBA Live featured tweaked gameplay aspects such as shots and steals frequency. 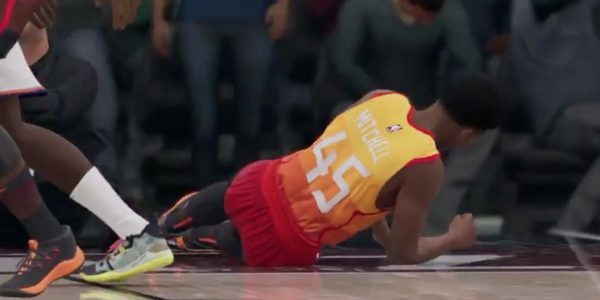 The new game update also brought NBA Live 19 injuries which can occur during games. This adds a whole new level to gameplay which wasn’t happening before. In fact, one commenter on Twitter notes that this should have been around since NBA Live 14. They’re here now and ready to have an impact on gameplay. A few gamers asked for proof that in-game injuries actually exist. They certainly do as seen in the video clip below. Check it out as Utah’s Donovan Mitchell attempts a drive to the hoop and is knocked down to the court then clutches his leg. 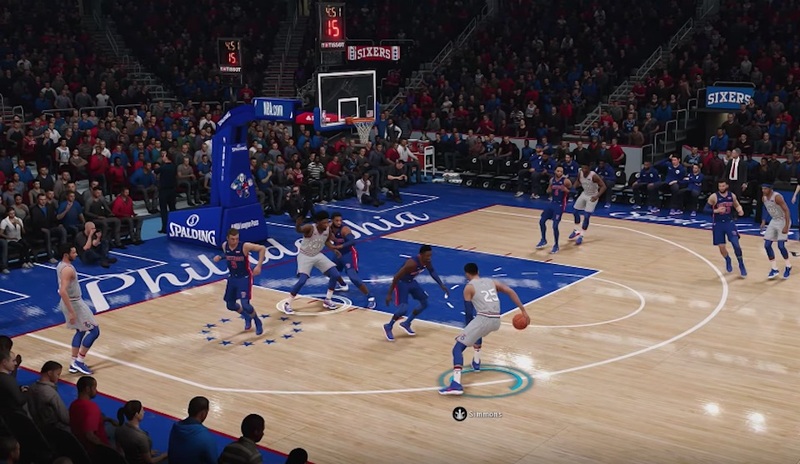 NBA Live 19 City Courts are now in the game as well. These include the unique floor designs and themes for teams. The injuries video shown above featured the Utah Jazz City Court. Here’s a look at the Philadelphia 76ers City Court. Other City Courts to check out when firing up the game include the Miami Heat, Denver Nuggets, and Cleveland Cavaliers. Ahead of the recent NBA trade deadline were all sorts of personnel changes on NBA rosters. For example, Tobias Harris was dealt from the Los Angeles Clippers to the Philadelphia 76ers and Marc Gasol moved from the Memphis Grizzlies to the Toronto Raptors. In addition, the Milwaukee Bucks added Nikola Mirotic to their roster and New York traded Kristaps Porzingis to Dallas. As seen in the screenshot above, this Trade Deadline Recap Solo requires taking on a team of recently-traded players. The objective is to win by at least two. The Sixers’ Tobias Harris and Raptors’ Marc Gasol are shown so these are players that are part of the team. Getting this challenge completed results in winning the traded players’ new jerseys. The new changes that have arrived this weekend seem to be well-received by many gamers. In fact, at least a few comments suggested that some people might be looking to start playing NBA Live 19 again over its competitor. Get more news, information, and how-to help for the game at our NBA Live page.